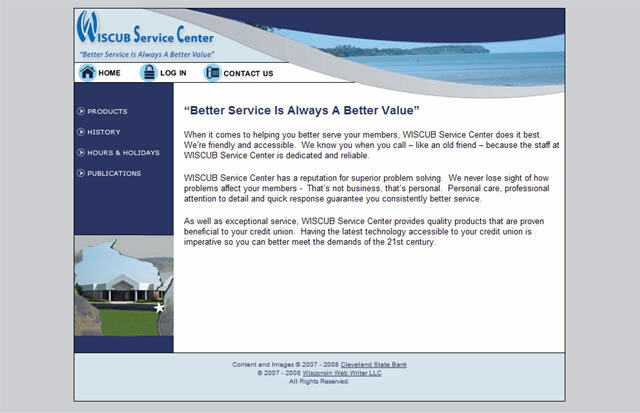 Wisconsin Web Writer LLC provides a full range of web site services for your business needs. This Mahnattan based fitness, health and wellness writer and editor for national publications wanted a site that could serve as a portfolio. 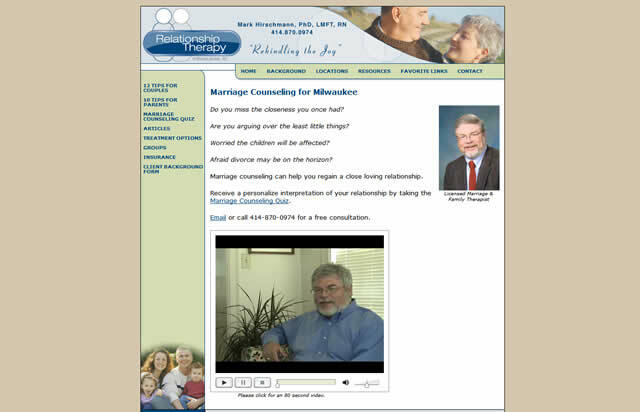 This site includes several videos and audio. Visit this site. Karen was a pleasure to work with. 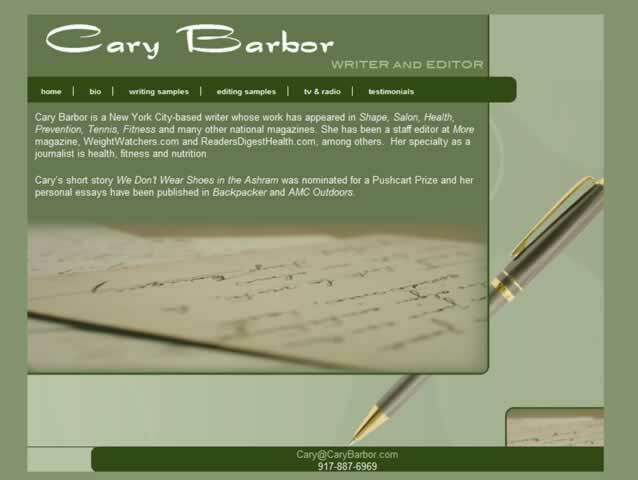 She walked me through the process of developing a website from start to finish, and I always felt I was in good hands. 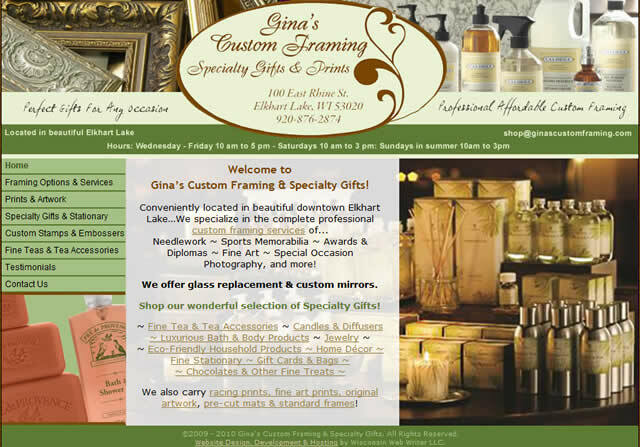 She gave my site just the look I wanted, plus she covered all the practicalities like search engine optimization. She was devoted to the project and whenever a problem came up, she had several good solutions. 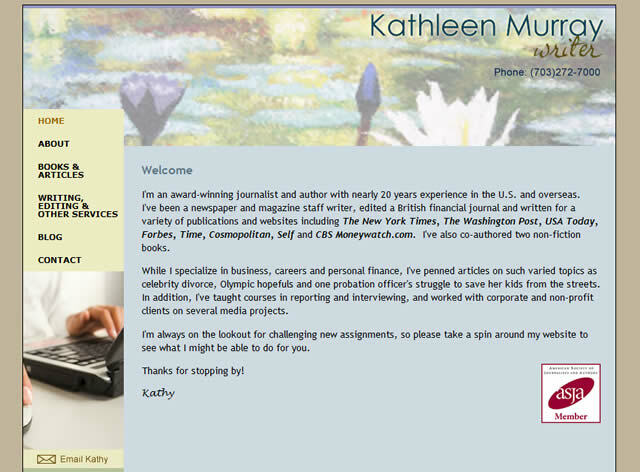 I’ve gotten many compliments on my website and I’ve recommended Karen to several of my fellow writers who are looking to develop sites. 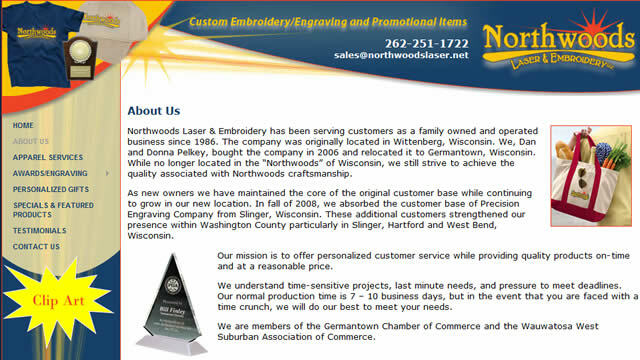 Wisconsin Web Writer LLC built this web site as a subcontractor for Valley TechNologies. Visit this site. My primary role with my clients is project management and working with Karen makes my job so much easier. She has the ability to really define the client’s objectives and transfer it to the page in an easy to use and attractive manner. 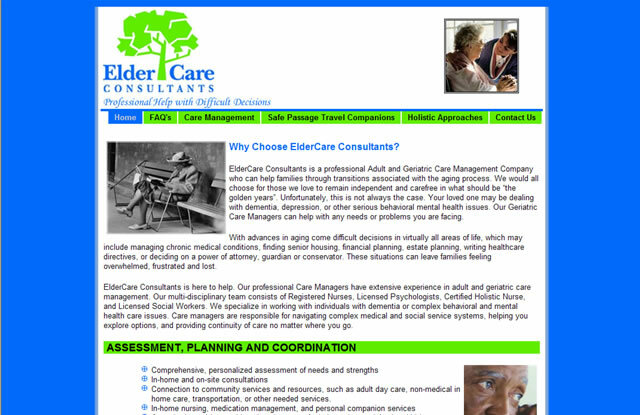 Her clean design, sensible navigation suggestions and search engine enhancement have helped our client’s get really great results. She is a pleasure to work with! 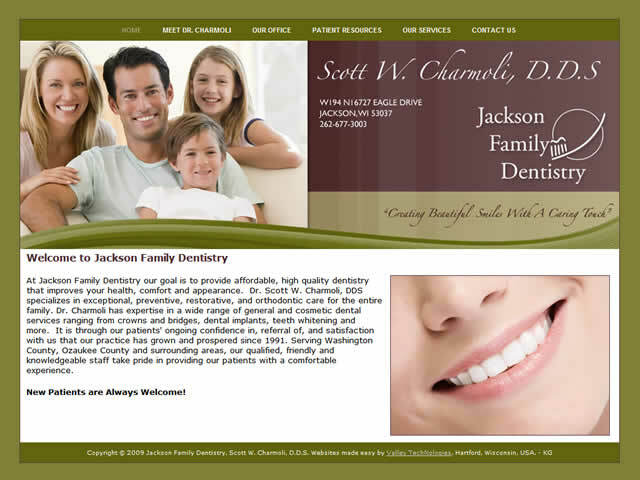 This goal of this web site redesign was to create a professional internet presence. 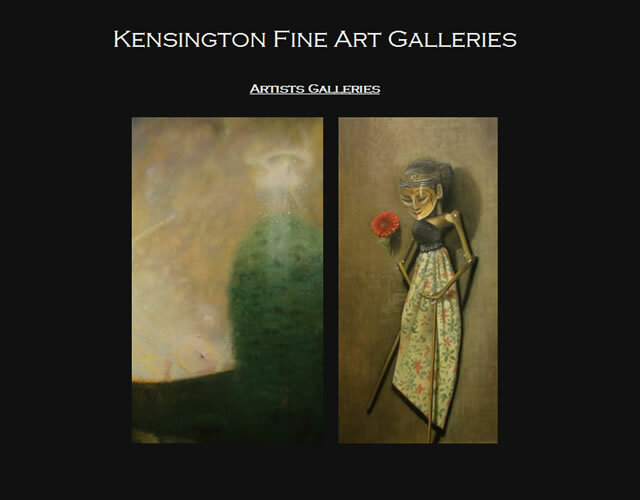 The web pages were reorganized and the graphical appearance of the site was improved. 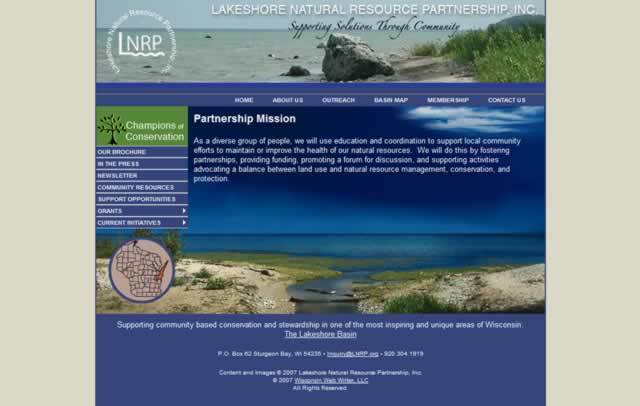 A specific goal from this client was to make the site cross-browser compatible and the navigational structure easy to use. All of these goals are standard on all of our web sites. Visit this site. This elegant salon wanted a visually appealling web site that would bring local clientele who were looking for a salon that would invigorate their senses. Visit this site. 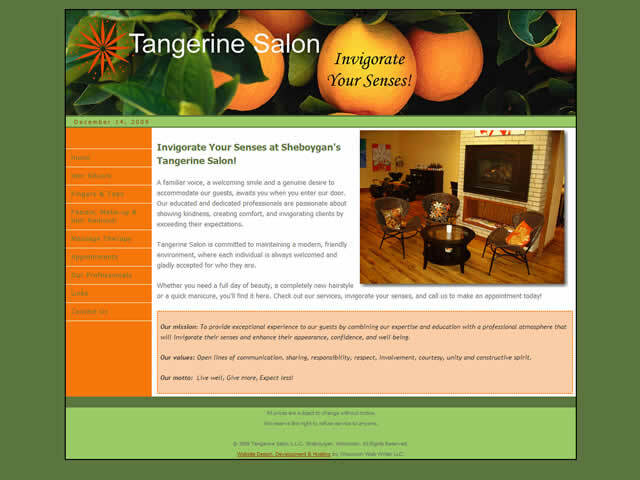 I feel very fortunate to have found Karen at Wisconsin Web Writer for the Tangerine Salon website. I researched quite a few companies before I make my final decision, but felt the most confident and comfortable with Karen's vision and abilites. She "got" the concept I wanted for the salon immediately. Karen is extremely professional, creative, efficient, and easy to work with. She made a lot of helpful suggestions along the way and even came in below the price that was originally quoted!! 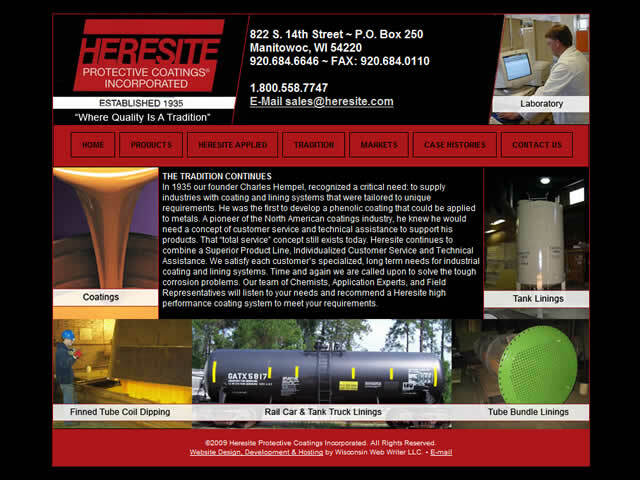 When Heresite Protective Coatings needed to revamp our Web site we contacted Wisconsin Web Writer. Karen met with us in our office to get an idea of our company, our products and our goals for a new website. She was back in our office in a short time with a new concept, a potential layout and a budget to accomplish our objectives. Her ideas were excellent and in accord with our overall goal of a more attractive and responsive website that could sell our products worldwide. It was finished in a timely fashion and after twelve months we are very pleased with the new customers, sales and overall customer service we have obtained through the site. Best of all, the entire project was accomplished at less cost than our original budget. 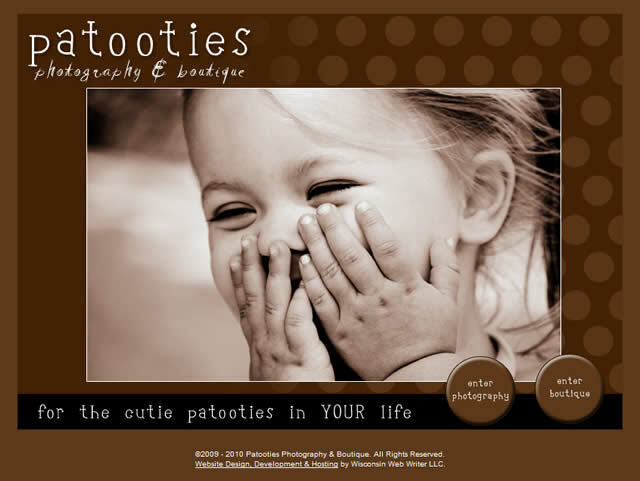 A warm, friendly company brochure style makes this very affordable site appealing to users. Visit this site. 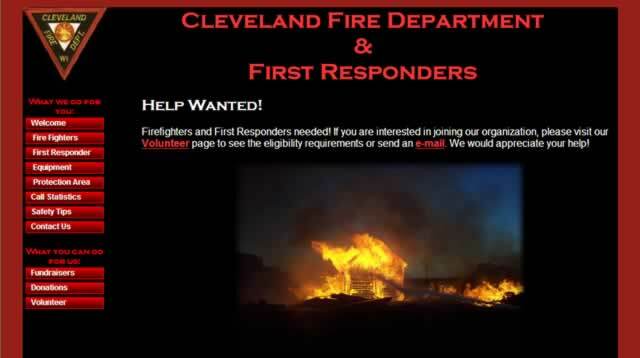 Official site of the Village of Cleveland. 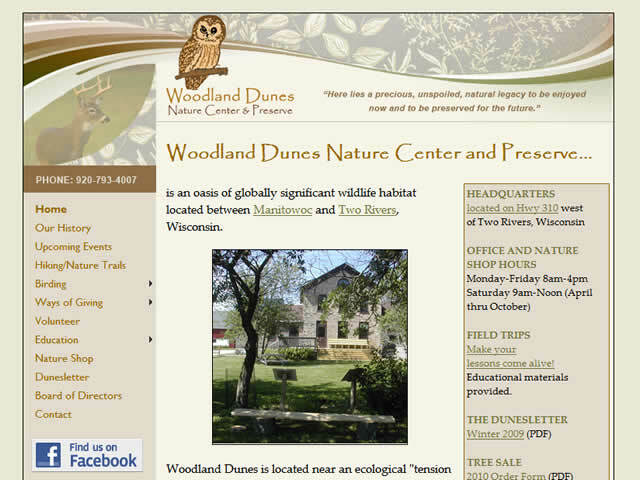 Residents are able to access Notices and various permits along with other useful information. Visit this site. 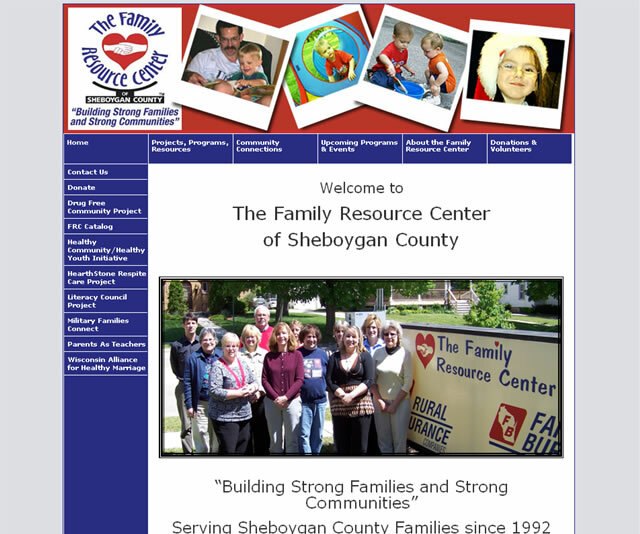 This volunteer organization offers comprehensive information regarding the services it offers to the community. Extensive safety tips are helpful for all visitors. Visit this site. The use of electronic medical records has been automated with the implementation of online forms. 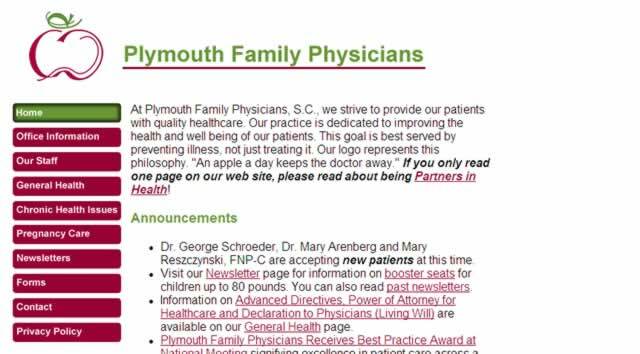 Extensive use of online forms will allow this family practice office to eliminate handling and scanning of many paper documents. Visit this site. 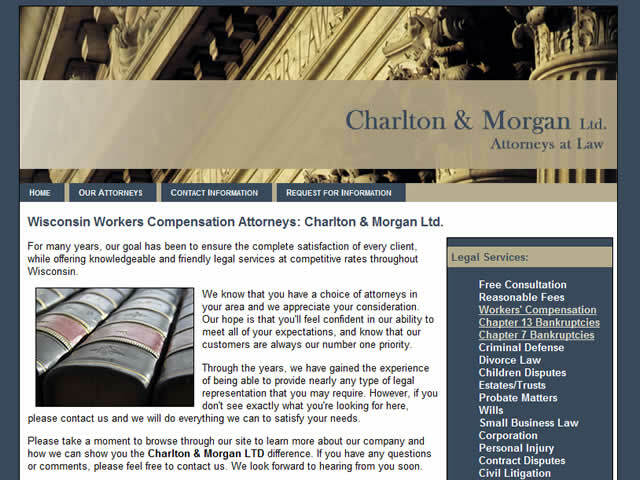 Top search engine placement was critical for this client. 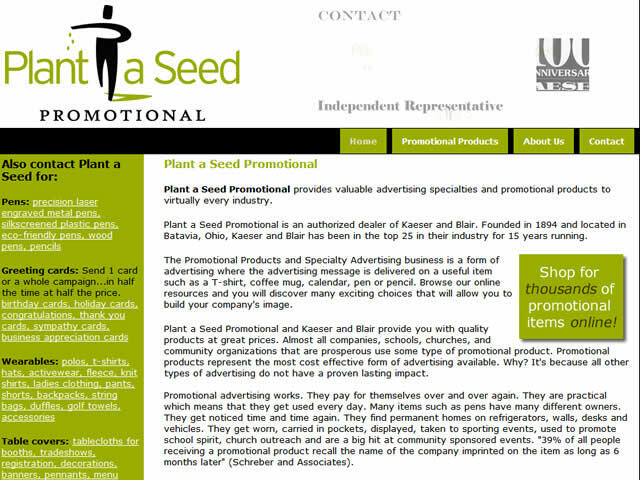 In 2004 we utilized various search engine optimization methods to improve the rankings of this site. 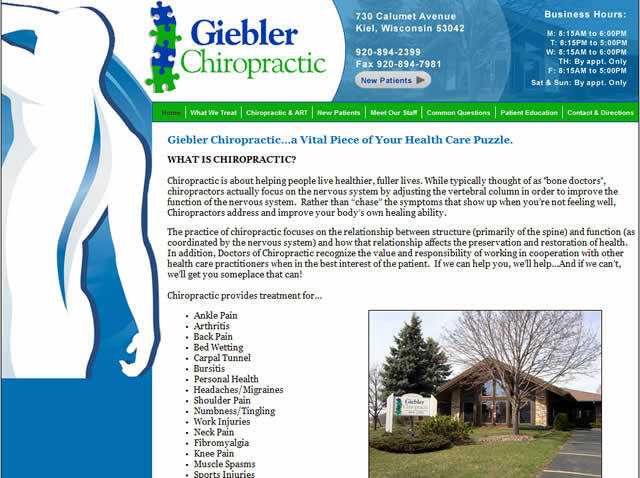 We achieved #1 placement in Google for this clients most important keyword phrase and two other top keyword phrases. Two additional top keyword phrases are #2 in Google's search engine ranking placement. 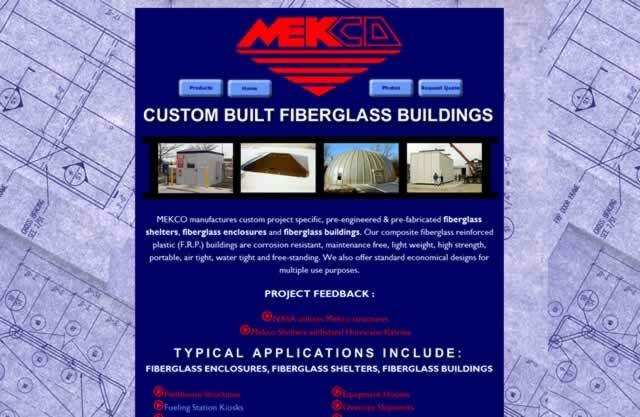 This site utilizes a dynamic drop-down menu to easily provide customers the ability to download AutoCad drawings. Visit this site. 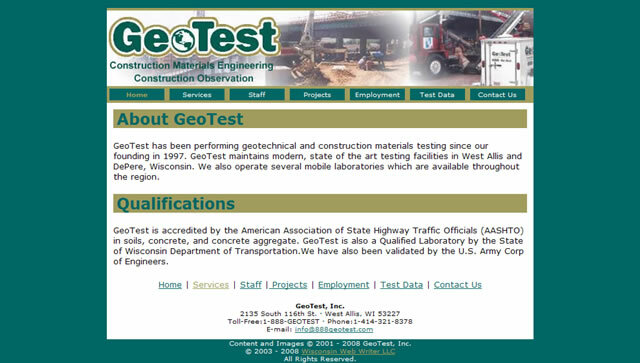 Set your sites on Wisconsin Web Writer!